Nitor’s proven methodology transforms your organization. The transformation starts with advisory services that focus on assessment, benchmarking and developing a transformation roadmap. Our procurement consulting experts execute the plan across source-to-pay technologies, processes and people. Nitor sustainment staffing ensures success in key aspects of source-to-pay. And throughout the process, our change management expertise ensures that everything is aligned for maximum results and minimal growing pains. Nitor builds a customized relationship that helps our clients become best-in-class. Advisory services designed to transform your entire procurement process or only select areas where the needs are the greatest. Outsourced staffing to help you meet your short- and long-term objectives, including during the transformation process or when implementing new technology. 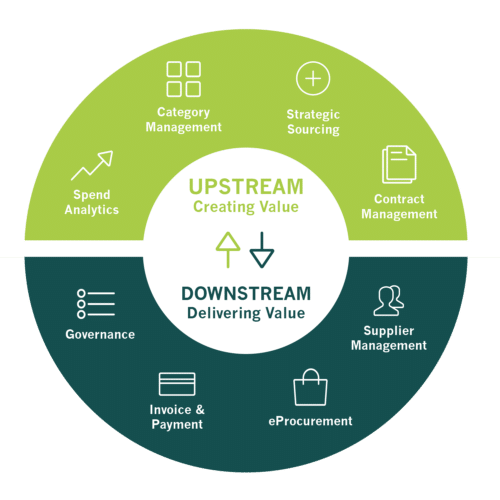 Agile methodologies to empower a holistic approach to strategic sourcing driving cost savings while also improving performance across quality, delivery, and service.